While I love the iPad Air, I always seem to turn to my MacBook Pro when I need to get any substantial amount of writing and editing done. We’ve reviewed more than a few tablet keyboard cases here at AppAdvice, but I’ve never been able to find a perfect fit that offers an Apple-like typing experience. But the ClamCase Pro looks to change that. The case’s concept is simple. 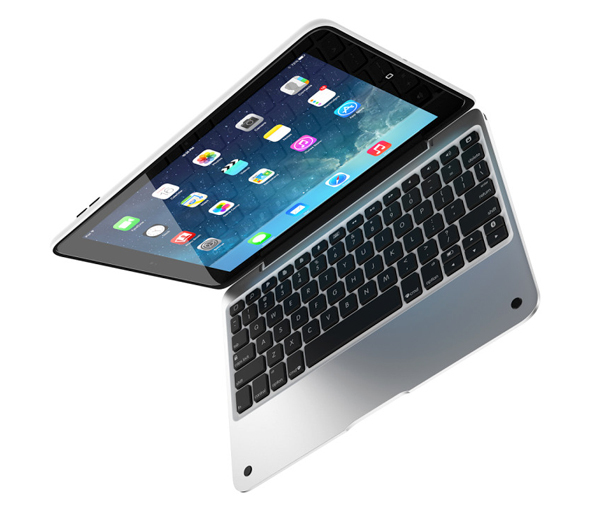 A polycarbonate exterior shell helps protect the iPad Air while the interior keyboard is made with an aluminum shell. Its look and feel is strikingly similar to any MacBook Pro or Air. A soft-touch, 360-degree hinge can convert the tablet into three different modes. Along with the usual keyboard, turning the hinge another 90 degrees converts the tablet into a great media viewing position. Finally, users can flip the keyboard all the way back for a simple tablet mode. Along with a keyboard, users can take advantage of two other modes to place the iPad Air. Easily put, the keyboard is spectacular. 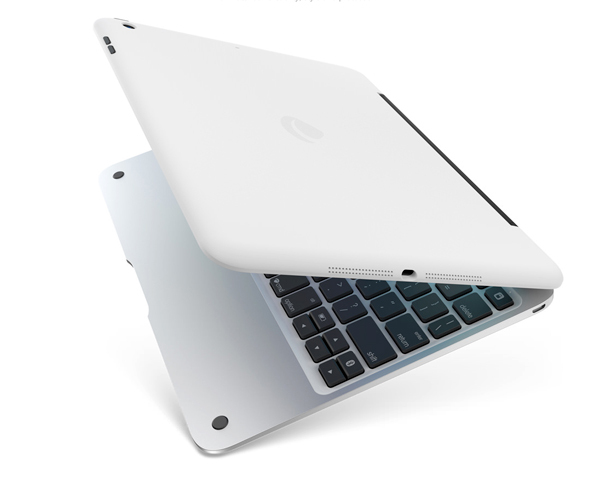 Along with looking like a MacBook keyboard, the ClamCase feels like using an Apple product. More than once while using the keyboard, I instinctively reached for a non-existent trackpad. The island-style keys are comfortable, well-spaced, and are perfect for touch typists. After a few weeks of using the ClamCase, for various writing tasks, I have no qualms saying the keyboard is easily one the of the best I’ve ever tried. Getting set up is easy. 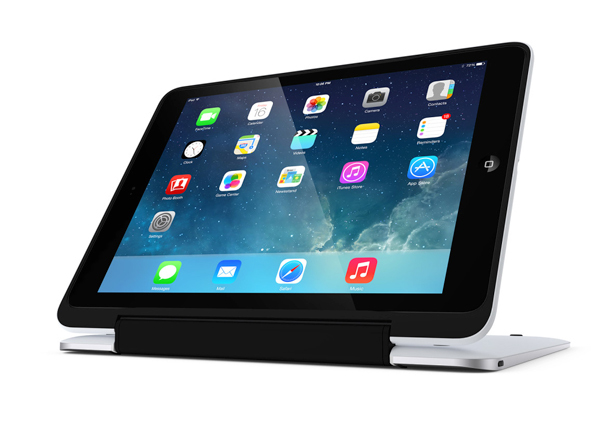 Simply insert the iPad Air into the top part of the interior and pair it via Bluetooth. After that, as long as the as the keyboard is turned to the “on”position, it will automatically connect when opened and shut off when closed. The keyboard will also switch off when used in tablet mode so you won’t accidentally trigger any keys. After just a two-hour charge, ClamCase says the keyboard can be used for up to 100 hours before needing to be recharged while offering around six months of standby time. A handy indicator light on the top right of the keyboard informs you of any battery issues. It also lets you know when the power is turned on, Caps Lock is activated, and when the keyboard is powered on or pairing. I also enjoyed the nice number of special function keys on the top row of the keyboard. Along with volume controls and a dedicated home button, users can also activate Siri and do a Spotlight search with just one touch. It’s not without some faults, though. 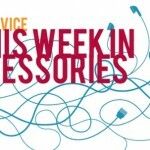 While the outer case is well made and seems to be able to stand up to daily wear-and-tear, the Lightning and headphone cutouts are laughably small. While the case itself is well-made, the Lightning port opening is extremely small and will only fit Apple’s official cable. You’ll only be able to use one Lightning cable to charge and sync your iPad Air while using the case – Apple’s official model. I own more than a few third-party charging cables, and even the ones that work consistently with other bulky iPad cases were too large. I had a little better luck using headphones – but not much. Only the very slimmest of headphone connectors fit through the ClamCase Pro. Any larger headphone jack, found on many over-ear or on-ear headphones probably won’t fit. Also, there is no opening on the case for the mute/orientation lock switch. That’s not a big deal for me since the same functionality is available through Control Center or on the keyboard itself. And if you normally use an iPad Air without a case or just some type of light protection, the ClamCase Pro does add a substantial amount of weight – 1.2 pounds. That’s more than what the tablet itself weighs. That extra bulk is most obvious while trying to use the case in tablet mode. The price is also arguably the biggest issue. At $169 it’s at least $50 to $70 more than other solutions from Logitech and other accessories companies. Even so, I think the overall experience easily warrants the higher cost. Spectacular typing experience – almost as good as the keyboard on any Apple laptop. One-touch pairing between the tablet and keyboard. Special function keys are very useful. Can use the iPad Air in three different modes. Battery life of up to six months in standby mode. Easy and quick to remove the iPad Air. Price is extremely high compared to other competitors. Openings for the Lightning port and headphone jack are very small. No opening for the mute/orientation lock switch. It’s heavy and adds 1.2 pounds to the lightweight iPad Air. If money is no object, the ClamCase Pro is the best keyboard case for the iPad Air, period. Other alternatives that we’ve reviewed, like the Ultimate Keyboard Case from Belkin or ZAGGKeys, offer some similar features for a lower price tag. But the ClamCase is the overall winner thanks to the spectacular, Apple-like typing experience and the quality construction. Despite a few minor flaws, it’s highly recommended and a must have for anyone who really wants to get work done on their iPad.